It’s rare to find someone who has lived in their home all their life! Sixty-five years ago, Dorothy Kelly brought her daughter IIona home from the hospital to their house on SW 2nd Street. Now, at the age of 101, Dorothy and IIona still live together in the same home taking care of each other. They are on a fixed income with only enough to pay for bills and groceries. IIona and her mother reached out to Rebuilding Together Greater Des Moines because they desperately wanted to relieve some of their worry and stress over getting the much-needed repair done to the aging home. Dorothy worked odd jobs most of her life until she broke her hip in 2012. IIona went to work for Wells Fargo in 1990 shortly after her father died. After 20 years of work, she left the company to raise her son. The two of them rely on each other for their everyday needs. For fun, they take drives along the 26-mile Neal Smith Trail along the banks of the Des Moines River. It wasn’t long after Rebuilding Together received their application that we sent out someone to inspect the home. Rebuilding Together was able to match a group of Wells Fargo volunteers up with the project. The homeowners were touched to find out that Wells Fargo, the company IIona worked for 20 years would be making the repairs to the home. The original retaining wall was replaced with a fence years ago by Dorothy and her grandson. Now, almost 20 years later the fence was falling apart. In addition to building a new retaining wall, volunteers installed new railings along the back entrance. Between the digging and transporting dirt and rock, volunteers worked around the yard clearing brush and making repairs to the existing fence. The work that the Wells Fargo employees did will improve the accessibility and safety for Dorothy and IIona. It also adds beauty to the patio creating a perfect place for backyard relaxation for Dorothy and IIona. The work crew at Ilona’s house project consisted of Wells Fargo Retail Services team members from Chick Herbert’s Customer Excellence and Strategic Planning organization Danielle Mincks, Kim Connors, Rachel Bergman, Melody Johnson, Jenna Schmitt, Jesse Uitermarkt, Dustin Jeffries, and Justin Kurtz from the Merchant Training Team as well as Josh Hakes, Siju Varghese, and Chris Hanson from Strategic Planning and Product Development. The work crew had various levels of experience with Rebuilding Together, with some having worked on crews for over a decade and others experiencing their first ever rebuild. The team thoroughly enjoyed meeting Ilona and Dorothy, and they felt incredibly rewarded by the experience of improving their home. Restoring homes and improving the lives of homeowners like Dorothy and IIona has a direct impact on the surrounding community. Maintaining affordable homeownership stabilized the fabric of our communities and neighborhoods. 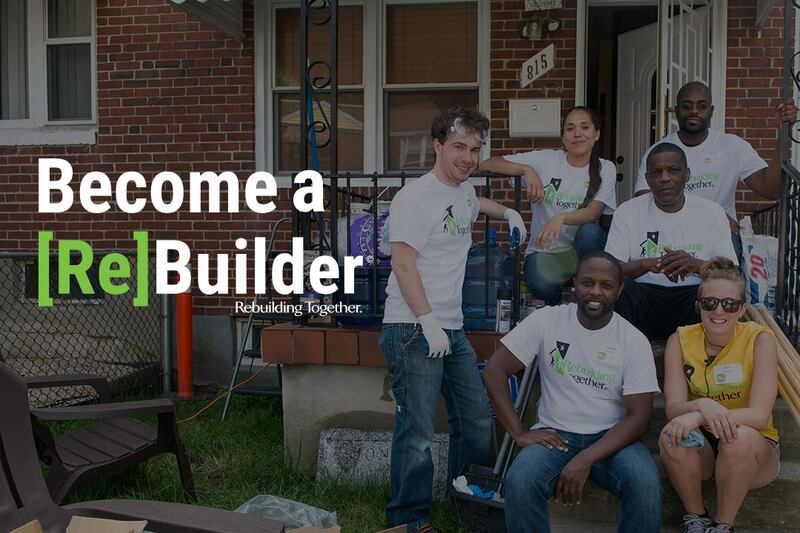 Learn more about how your organization can give back to the community through Rebuilding Together Greater Des Moines.